Dale Power Solutions invests heavily in their most valuable asset – their people and for many years have created an outstanding environment for learning and development. 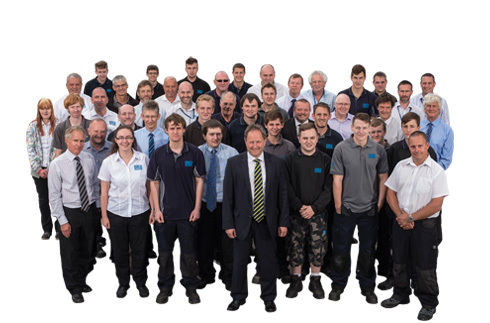 Although Dale Power Solutions are a global business employing over 240 people, we are committed to manufacturing in the UK and to maintaining Yorkshire’s rich manufacturing heritage along the way. As part of our commitment to making a positive impact in the local community, several Dale Power Solutions employees have become STEM ambassadors. Our STEM ambassadors use their enthusiasm and commitment to encourage young people to enjoy STEM subjects (science, technology, engineering & maths), opening doors to a world of opportunities and possibilities. As part of our apprentice’s ongoing commitment to STEM, Dale Power Solutions apprentices regularly visit local schools, giving presentations about working in the wonderful world of engineering. Dale Power Solutions signed up to STEM to promote the values of STEM subjects and apprenticeships, promoting the opportunities which are available right on their doorstep. Apprenticeships are a rather unknown entity amongst school leavers and that is something that Dale Power Solutions feel must change. Young people are often presented with just two choices when leaving school; start working with no training, or go to university. Apprenticeships have until recently been seen as an unattractive ‘other’ route, and aren’t fully understood by school leavers. From our experience, apprenticeships are a comparable option to University and a fantastic way to get into the work place. They can increase chances of employment, whilst also being paid at the same time. That is something that a university course cannot compete with. And of course many of our apprentices go on to undertake university degrees, which is fully funded by Dale Power Solutions. Dale Power Solutions is committed to making a sustainable positive impact on the communities in which we operate. We aim to make a distinctive contribution to equality and social development through the establishment of effective partnerships and programs that make best use of the energies and skills of our employees. As an ambassador of The 5% Club it is our aim to encourage other businesses to participate in the campaign, urging more public and private companies to follow suit and aim to update on progress using various platforms, including social media, as the campaign progresses. An astonishing 25% of Dale Power Solutions current workforce either are an apprentice or went through the apprentice route. We passionately believe in providing rewarding careers and opportunities and see our apprentices as the future of Dale Power Solutions. We strongly urge other SME companies to invest in apprentices. This entry was posted in News, Partners and tagged Apprentices, Apprenticeships, Dale Power Solutions, SME, STEM, The 5% Club by 5percentclubuk. Bookmark the permalink.